The new OS may be ideal for the K-12 world, less so for higher education or business. Back in January, we heard rumblings of a new cloud-based operating system (OS) in the works from Microsoft, which was referred to at the time as Windows 10 Cloud. However, these rumblings remained speculative - up until Microsoft's Education event in New York City on May 2. There, Microsoft unveiled two brand new products: a new Surface laptop and a new OS called Windows 10 S.
In this blog, I'll explain what Windows 10 S is and where I see it fitting in to different educational and business scenarios. Windows 10 S is basically a locked-down version of Windows 10 Pro that has been streamlined for security and performance. The major difference between this new SKU of Windows 10 and others is that it is designed to run only those applications that can be procured from the Windows Store or those traditional desktop applications that developers have converted for the Universal Windows Platform (UWP) using the Desktop Bridge tool (code-named Project Centennial). UWP applications will run in a separate container, which will prevent those applications from affecting the OS registry and files. This is designed to increase security and eliminate malware. According to Microsoft, more than 500 Win32-based applications have gone through the conversion process for Windows Store compatibility. These are now available from the Store and users who install them will receive ongoing application updates. The full version of Microsoft Office apps will soon be available in the Windows Store, which will offer added productivity features for users. Microsoft is also providing Windows 10 S users with an upgrade path to Windows 10 Pro. Upgrading to Windows 10 Pro enables a user to gain expanded capabilities and the ability to use traditional desktop applications. The cost to upgrade from Windows 10 S is $50, but Microsoft is offering free upgrades to owners of the new Surface laptop until the end of December 2017. Details on other upgrade options are ambiguous at this time. "Microsoft Edge is the default web browser on Windows 10 S and Bing the default search engine in Microsoft Edge when customers are in Windows 10 S configuration. Customers are always in control of their Windows experience. When in Windows 10 S configuration, you are able to download any browser available in the Windows Store and can navigate to any other search engine website. If you want to download a browser (or any other application) not in the Windows Store, you can switch to Windows 10 Pro, at which time you can set the browser and search engine defaults of your choice." This means that neither Google Chrome nor Mozilla Firefox will be options for users unless these browsers are developed for UWP and available through the Windows Store. As for hardware support, the majority of peripherals, including printers and similar devices, will be supported through Microsoft's ongoing push to streamline drivers from vendors. However, users may face an issue if their existing peripherals need drivers that are not available through the Windows driver store. In that case, they are stuck because drivers are treated in the same manner as applications and cannot be installed unless available through the Windows Store. Some devices may still work, but they may experience functionality limitations. This limitation would be a massive obstacle for enterprises, which typically have scores of peripherals that require specific drivers to be installed from manufacturer support websites. Should You Use Windows 10 S in Your Organization? Will enterprise customers want to embrace Windows 10 S in their organizations? Small businesses? Perhaps. It could be a good fit for small businesses with limited staff and an absence of on-premise infrastructure, particularly if third-party applications are not a factor and Office 365 is the business productivity tool of choice. Windows 10 S does include Microsoft Intune, which could be beneficial for companies using the cloud-based MDM. The restriction against the installation of third-party applications could significantly reduce the incidence of rogue application installation and reduce calls to IT support to fix performance issues and malware infestations that could impact security. But for larger organizations - including higher education institutions - Windows 10 S will fall short on far too many basics to be considered seriously. The inability to join an on-premise domain is itself a showstopper for nearly all enterprises. Windows 10 S would also never get out of the starting gate in larger businesses due to lack of support for third-party and in-house applications. There are countless lesser considerations (lockdown to Edge and Bing), but those are irrelevant due to the domain and application issues. Microsoft will definitely challenge Google in the education market with Windows 10 S. They'll look to compete with Chromebooks as more affordable low-end devices are released that support the new OS. Businesses that don't need to deploy it companywide may find small pockets where it fits. All these markets are evolving rapidly, though, so there is a lot that remains to be seen with any of today's technologies. I suspect that Microsoft Windows 10 S has a bright future - just not in the enterprise. 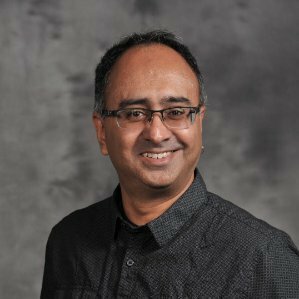 Harjit Dhaliwal is a Microsoft MVP serving as a senior systems administrator in the education industry and a technical blogger at Adaptiva, an IT systems management company. For more information, please visit http://www.adaptiva.com, and follow Harjit on Twitter and LinkedIn.